Double Terminated crystals have a point on both ends of the crystal. Some are in natural form and some are shaped artificially. 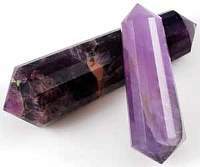 This type of crystals radiates or absorbs energy at both ends at the same time. It channels the energy in two directions at the same time. 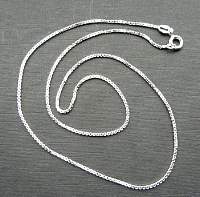 Double terminated stones integrate the spirit and the body providing a bridge between both of the energy points. These crystals are a stone of balance and healing. 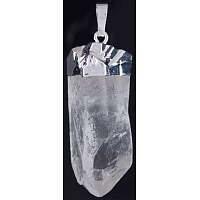 They absorb negative energy and break down old patterns which can also assist with addiction. 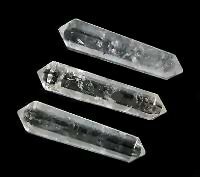 Double Terminated crystals can enhance mental telepathy when placed on the third eye. 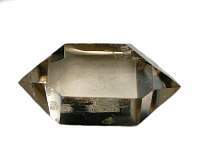 About this page: Double Terminated crystals have a point on both ends of the crystal. Some are in natural form and some are shaped artificially. 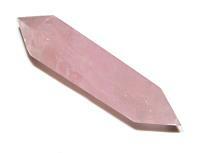 This type of crystals radiates or absorbs energy at both ends at the same time.